Pore Reducing Primer with oil control helps reduce the appearance of large pores & improves the look of oily skin. Perfect to wear under makeup or alone, this gel primer leaves you with a shine-free finish. 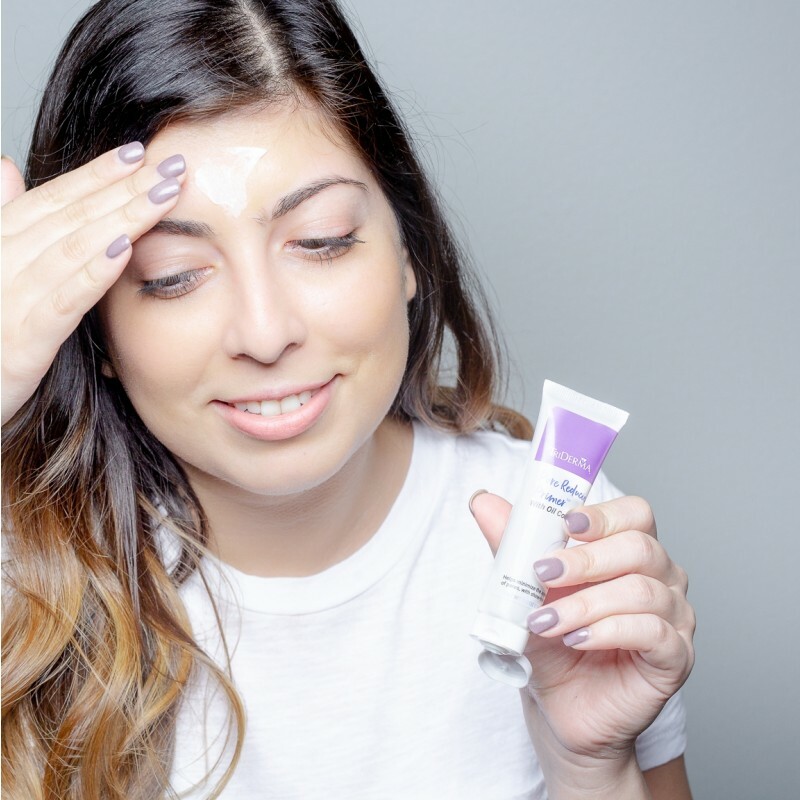 Pore Reducing Primer™ with oil control helps reduce the appearance of large pores & improves the look of oily skin. Perfect to wear under makeup or alone, this primer serum leaves you with a shine-free finish. Best product I've ever used 10/10 definitely!! This is the best for minimizing the look of my pores. I have been using it for almost three years and have tried other products. Always come back to this one. Apply to clean skin. Wear under make-up or alone. aloe barbadensis (aloe vera) leaf juice*, cyclopentasiloxane, propanediol, dimethicone crosspolymer, hydroxypropylcocoate peg-8 dimethicone, caprylic/capric triglyceride, phenyl dimethicone, isopentyldiol, adansonia digitata seed oil, hippophae rhamnoides seed oil, plukenetia volubilis seed oil, trifolium pratense (clover) flower extract, maris sal (sea salt), stearalkonium hectorite, caprylyl glycol, silica, propylene carbonate, ethylyhexylglyerin, hexylene glycol, citric acid, sodium hydroxide, limonene, niacinamide, phenoxyehanol, fragrance (parfum). "This product is amazing. I had large pores on several areas of my face. 5 applications of the product, those pores are gone. My skin looks like a baby's, and I am 49 years old. I haven't looked this young in years. Just spot test to make sure you aren't allergic." Mary H.